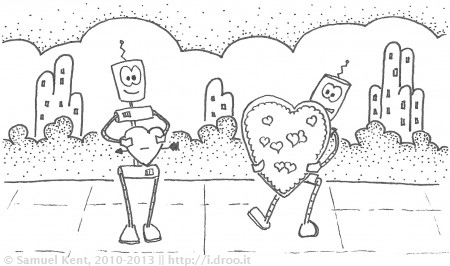 You mean more than one robots love me? I’m so lucky! Been a while since I drew these guys. I decided that it was time, and looking for inspiration, turned to the season. Andrew is doing valentines for school, and that inspired this. Bonk is the one competing for your affection here.